Firefighting crews from several Native American tribes have been battling the deadly wildfires in Sevier County. Bielenberg said among the crews in Sevier County are the Navajo Scout Type 2 Initial Attack Crew, Mescalero Apache, Fort Apache No. 1, Hopi 1, San Carlos No. 2, Warm Springs No. 1, Warm Springs No. 2 and Chief Mountain IHC. 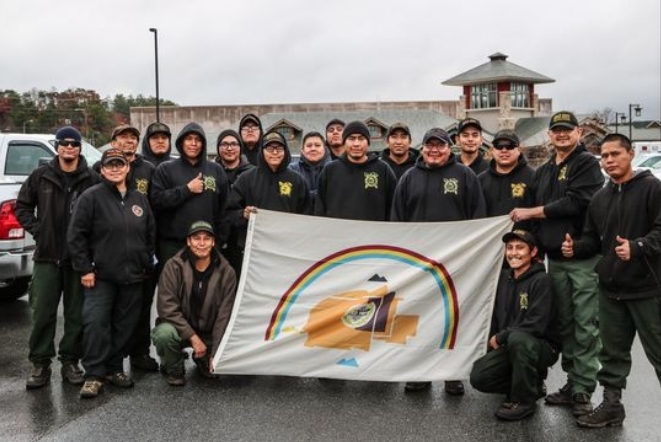 Native Americans also are staffing camp crews, including those from Fort Apache, Ariz., and the Great Onyx Job Corps at Mammoth Cave National Park in Kentucky. William Smith is squad boss of a 20-man crew of the Navajo team that has been working on the fires since Nov. 29, the day after a hurricane-force wind sent the blaze on a rampage through Gatlinburg and surrounding communities. Previously the crew had been working on a fire in North Carolina. He said his crew will be active until the end of December. When asked whether he felt a measure of pride that Native Americans were playing a big part in the fire fight, Smith responded, “I certainly do. 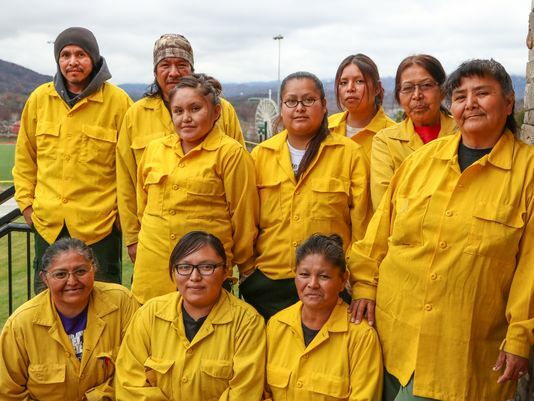 The Navajo Scouts, a team from Native American firefighters from Fort Defiance, Ariz., is among Native American crews working the Sevier County fires. His crew is from Fort Defiance, Ariz., near the Navajo Nation headquarters in Window Rock, Ariz. He said this fire has been a challenge. Smith said his crew has been helping to secure the perimeter around the Chimney Tops trail in the Great Smoky Mountains National Park, where the fire began. The crew is slated to go home Wednesday after a 14-day deployment. Crews are usually on 14-day rotations unless needed to stay longer. The Fort Apache C-7 Camp Crew from Arizona is among the Native American crews helping in the firefighting effort in Sevier County. Responses to "Native American firefighters fighting wildfires across the country"
I'm over 70 yrs and praying for you and Mother Earth. Always start your morning with offerings to Mother Earth, she listen to your asking because we (Natives) are her children as our legends teaches us therefore respect Mother Earth.